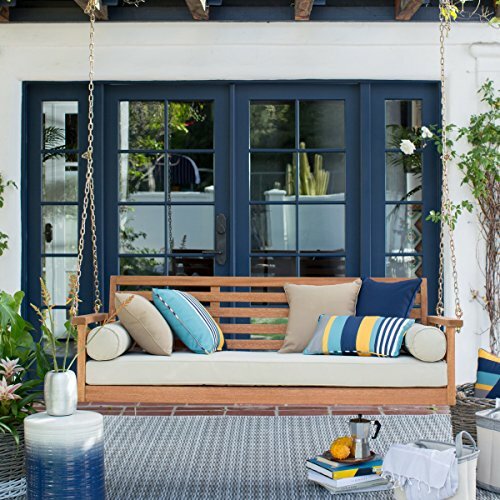 The Most Awesome Outdoor Porch Swings for Adults! Whether we call them porch swings, patio swings, wooden garden swings or simply outdoor swings for adults, we are all talking about the same thing here! Gorgeous double or even triple chairs that gently swing or glide while you either read your favorite book or just enjoy the outdoor smells and sounds! I have always LOVED all kinds of swings and gliders ever since I was very little, and when I saw all the beautiful and very unique porch swings and patio swings being sold nowadays I went crazy! I am blessed enough to have a nice lanai in my condo unit, so I have been thinking about getting a cute porch swing for myself too…. But I found so many! I am going to list here the most beautiful and unique ones! Can you believe that I even found a couple of swinging beds?? Can you imagine spending some leisure time on your outdoor bed swing reading books? 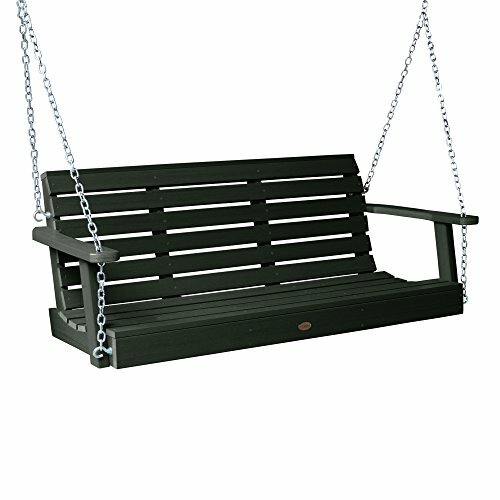 Here are my favorite outdoor porch swings for sale! My Favorite Outdoor Wooden Swings for Adults! 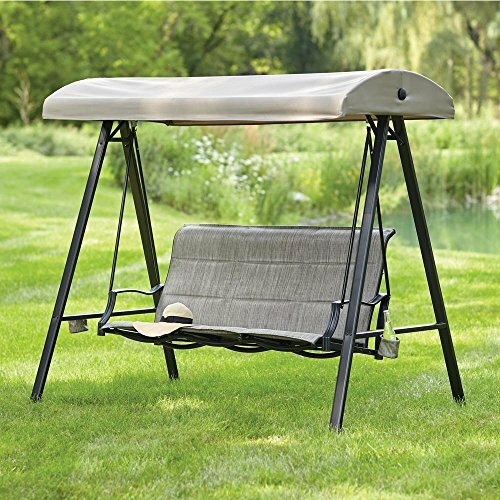 This is one of my favorite garden swings for adults with the stand! It’s so romantic, isn’t it? The white cedar wood is so natural and so ‘rustic’! Cedar is also perfect to prevent decay, sine it is a natural insect repellent! I think wooden patio swings are perfect to have near plants or trees! 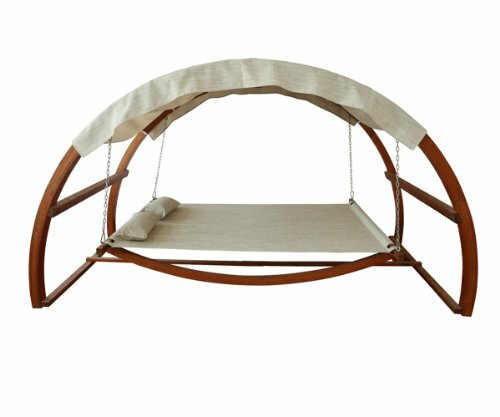 How about getting a Cool Swing Bed for the Porch? This is a beautiful oversized porch swing for sale! Just add a nice and comfy mattress and some fluffy colorful pillows and you are all set for wonderful afternoon naps or long reading sessions! 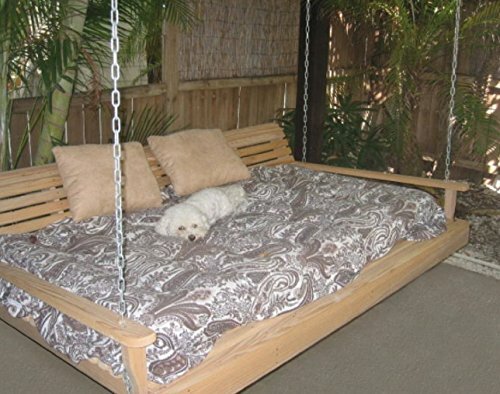 This is a gorgeous, heavy-duty 6 feet porch swing bed made from cypress wood that includes the hanging chains for sale! Gorgeous Hammock Style Swing Bed with Canopy for Two People! I had to show you this gorgeous covered hammock outdoor swing bed for two people! You will want to spend the whole day in there! Beautiful Colorful Porch Swings for Sale! You can find these beautiful porch swings in many cool colors too! Besides this gorgeous dark green one, you can choose it in white, gray, coffee color or chocolate brown! It’s very compact too and perfect for a smaller porch or small patio area! The price is not so bad either folks! I think it’s very cute! I would definitely add a few cute decorative pillows on it as well, of course! What color are you going to choose? I really like this dark green one! 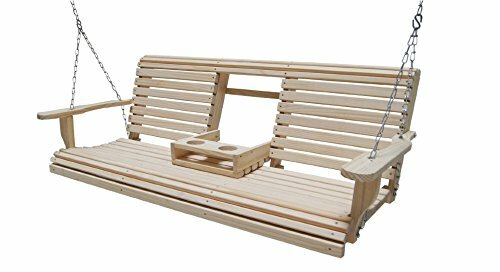 Very Affordable Cypress Wood Porch Swing with Cup Holders! How’s that for a nice reading corner folks? What a cute and very affordable porch swing for sale with cup holders! How absolutely perfect is it?? It’s not only beautiful but also very comfortable and well-made! You will not believe how cheap it is! I love the natural cypress wood color! Will look lovely and very cozy when you place cute colorful pillows on it! 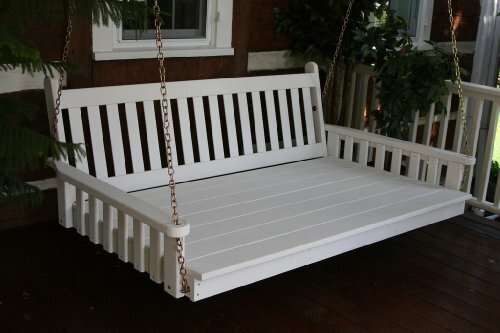 This lovely porch swing is one of the best outdoor porch and patio swings for sale in my opinion! Besides looking absolutely gorgeous, it is very durable and strong! It’s very comfortable to use, very easy to assemble and it’s weather proof! The size is also perfect for small spaces and I will definitely consider getting this one for my own lanai! 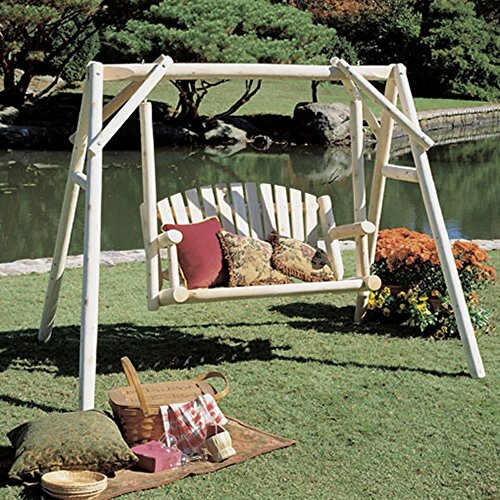 Large Outdoor Garden Swings for Adults! If you are lucky enough to have a nice garden or a large patio in your home, how about getting this awesome burgundy color patio swing with canopy for three people? Isn’t it a dream come true? How perfect is it for spending a nice and relaxing afternoon in your garden sipping a cold drink and listening to the birds? 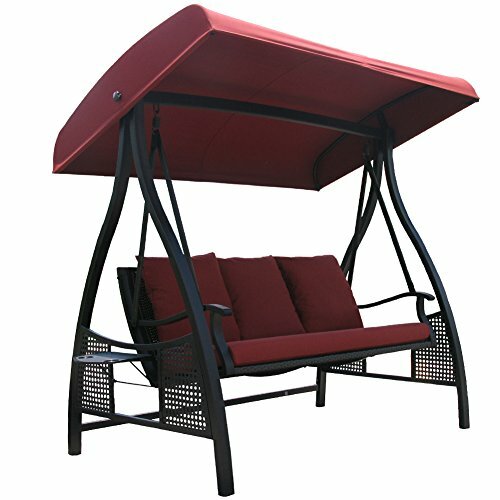 The frame is made of steel and the big canopy is also adjustable! If I lived in a house and had a decent patio, I would definitely buy one just like this for myself! How absolutely gorgeous and fun is this outdoor swing with canopy for three people? In my opinion it is one of the cutest from this page! 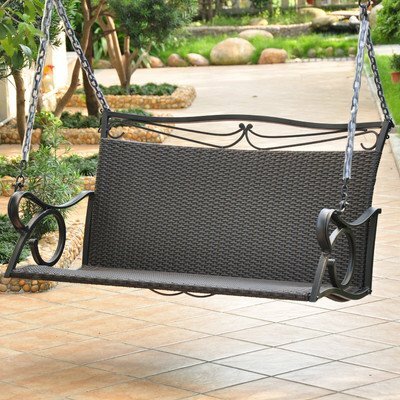 *I hope you enjoyed these patio swings and were able to find one for your home!